James Russell Kelly the director of the Gabelli Center for Global Security Analysis, is a lecturer in finance at the Gabelli School of Business, where he teaches courses in value investing and global investments. He is also the faculty advisor to Fordham University’s Student Managed Investment Fund, through which Gabelli School of Business undergraduates invest $1 million of Fordham’s actual endowment in a variety of domestic and international asset classes. 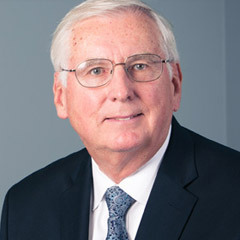 Professor Kelly has more than 30 years of experience in the international capital markets, including senior-level positions in international securities sales and trading at Merrill Lynch, where he was vice president of institutional sales; Deutsche Bank Securities, as senior vice president and manager of the international fixed-income sales and trading department; and Auerbach Grayson & Co., as executive vice president of equity emerging markets. While at Deutsche Bank, he also served as marketing director of Deutsche Bank Research, the bank’s macroeconomic research institute. Professor Kelly holds a BA in economics from the University of Notre Dame and an MBA from Columbia Business School. 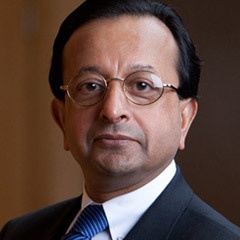 Academic research is directed by Sris Chatterjee, the Gabelli Chair in Global Security Analysis. Professor Chatterjee has taught a variety of courses, including Mergers and Acquisitions, Principles of Modern Finance and Behavioral Finance, at the undergraduate, graduate and executive MBA levels. In 1995, he received Fordham’s Gladys and Henry Crown Award for Faculty Excellence at the graduate school. Professor Chatterjee got his undergraduate degree in mechanical engineering from the Indian Institute of Technology in Kharagpur and his postgraduate diploma in management from the Indian Institute of Management, Calcutta. He received his MPhil and PhD from Columbia Business School. Before joining the Fordham faculty, Professor Chatterjee taught at the State University of New York at Buffalo, Rutgers University and Columbia University. He has taught in the Key Training Program at UBS Wealth Management, where he participated in curriculum development and in writing training material. He also has taught in executive MBA programs at other schools. Widely published, Professor Chatterjee’s main research interest is corporate finance. His work has been showcased in the Journal of Banking and Finance, Journal of Financial Economics, Financial Management and Journal of Financial and Quantitative Analysis.